This highly publicised report into developments in lettuce production in recent years investigates the impact of changing farming and production techniques on the environment and the potential risk to our health. It also examines the role of major retailers in changing production to extend the seasonal availability of lettuce. This short summary of the report on lettuces, Salad Days, highlights the key issues and recommendations. There is growing concern about the environment and farming practices, and how our food production and distribution systems may be contributing to problems such as transport pollution, global warming, ill health and loss of wildlife. The Food Facts series of reports provides information about the negative and positive effects of food production and consumption on our environment and society. The number of lettuce samples used for testing was extremely low. In 1998 only 21 samples of UK lettuces and 2 samples from abroad were taken. The Salad Days report also discovered that the UK came bottom in a European league table, which compared the number of lettuce samples used for pesticide testing with the population of each country. The Pesticides Trust (now Pesticides Action Network UK), an independent body, has questioned the efficacy of these tests. In one study, the level of residues detected in one sample of lettuce was highly variable, depending on which laboratory did the testing. These findings were published in a joint press release on the 16 September 1999 by Sustain and the Pesticides Trust which was timed to coincide with the Working Party on Pesticide Residues (WPPR) launch of their Annual Report. There was significant media interest, including a front page story in The Guardian featuring an enormous picture of a lettuce and the headline, "Your typical lettuce...after 11 doses of pesticide". Another worry are the nitrates which originate from nitrogen fertilisers. In Murcia, Spain, where nearly half of all lettuces consumed in the UK are grown, nitrate pollution has become a serious problem. One study in Murcia found that the amount of nitrates leaching into the environment was more than would usually be applied by a UK lettuce farmer. Nitrates are very disruptive to the natural environment and can even be a health hazard to humans, especially young children. 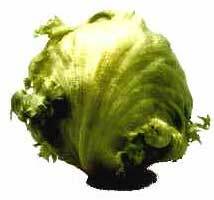 Unfortunately lettuces are naturally prone to absorbing excessive amounts of nitrates. As a result the European Commission has imposed maximum limits of nitrate residues that may be found in lettuces and spinach. All European member states are required to monitor residue levels. On average over 1 in 20 lettuces in the UK were found to exceed maximum limits on nitrate residues. (For spinach an alarming 1 in 3 leaves exceed the maximum limit.) Again Salad Days found that the number of samples used for testing nitrate residues in lettuce was too low. For example, in 1998, only 9 imported lettuces were tested for nitrate residues. The report also investigated working practices on horticultural farms and found medieval working practices being used in the UK. Gangmasters supply flexible labour to horticultural growers for planting, weeding, harvesting and packing fruit and vegetables. MAFF estimates that around 2000 gangmasters control 70,000 seasonal and casual workers and up to 20% of the gangmasters operate illegally. Pressure to reduce costs has led to the illegal exploitation of the workforce through low wages, poor health and safety practices and even violence to keep workers quiet. MAFF has attempted to clampdown on illegal gangmasters by raiding farms, though it is not known how effective this type of action will be. Lettuces are travelling further and further. Even though the UK is able to grow lettuces throughout the year, imports have increased from 21.8% of the total supply in 1987 to 47.1% in 1998. Nearly a quarter of all lettuces imported into the UK come from Spain. Lettuces remain a useful part of the European diet. Lettuces can be healthy, nutritious and very tasty, whether they are served in a salad or in a sandwich. It is important to support sustainable lettuce production to ensure that lettuces remain a part of the diet. 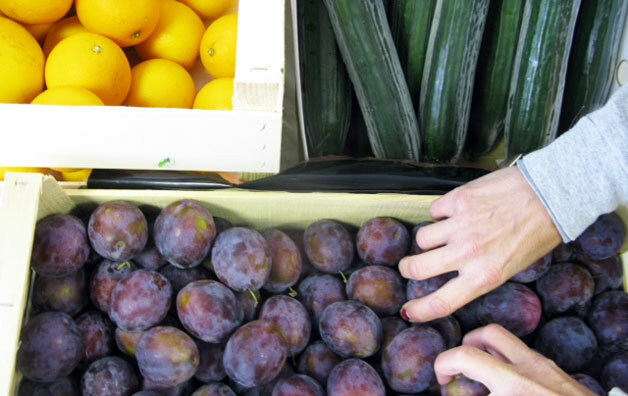 People might like to support their local farmers by buying lettuces from farmers' markets and through box schemes. Organic lettuces can also be bought, and you might like to grow your own in a back garden, window box or allotment. "A detailed and illuminating report"
"A fascinating insight, a little gem!"